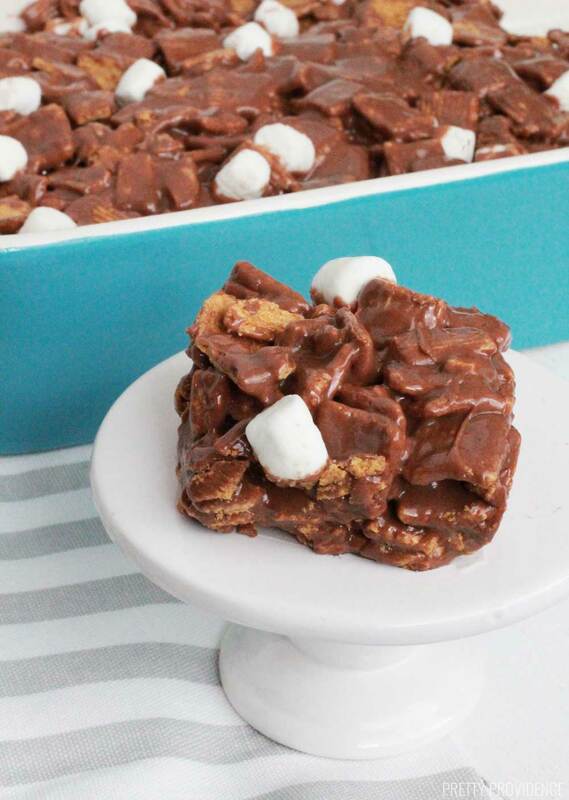 These golden graham s’mores bars are the perfect no-bake DESSERT! If you love s’mores you will love this indoor version! I wanted the recipe so badly but I had no idea who had made them. 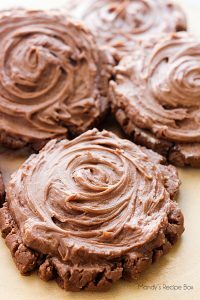 I googled it and found multiple recipes and I had to tweak them all a little before I got them to taste just the way they did the first time I had them. 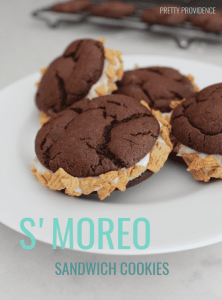 Today I’m sharing the recipe for my favorite s’mores treat with you! 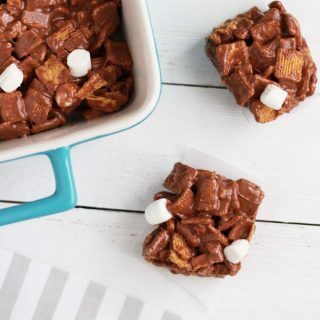 They are made with milk chocolate chips, marshmallows and golden grahams cereal. These S’mores bars are so so good. 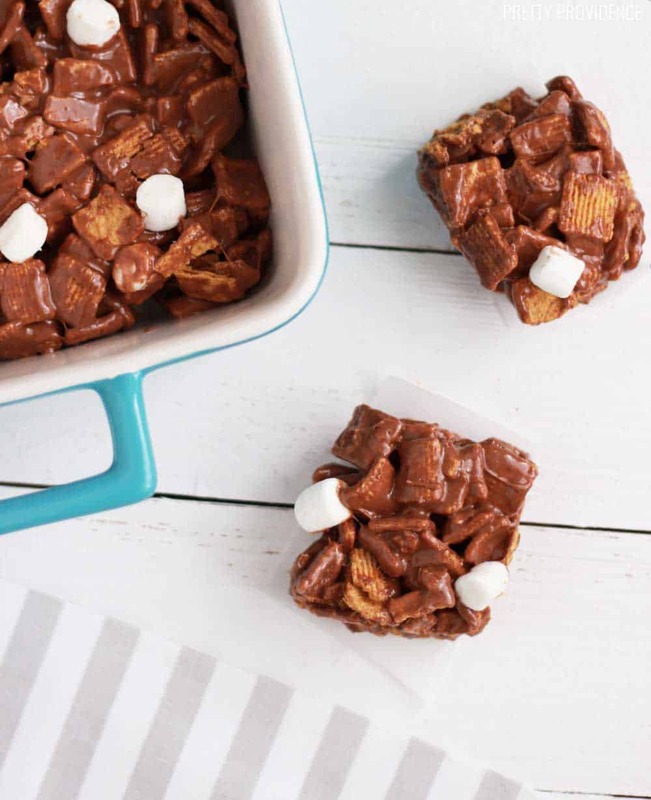 They’re a S’more and Rice Krispie treat hybrid. These are no-bake too! All you have to do is microwave the marshmallow mixture and then mix everything. That’s always a bonus! If you like chocolate and marshmallow together, get ready to fall hard for these. 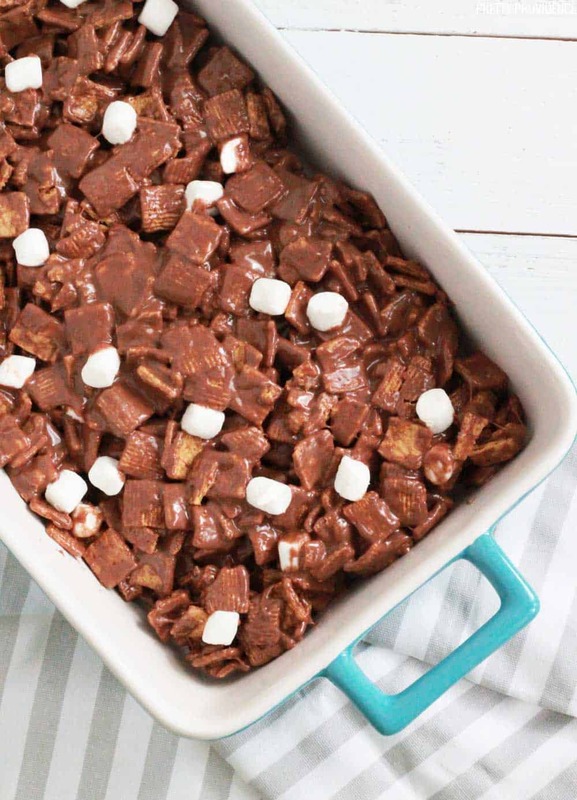 Add chocolate, marshmallows, butter and light corn syrup together in a big bowl. Microwave in 30 second increments until it’s all melted. Mix in vanilla and then add the golden grahams cereal. That’s seriously all! They are ready in 5 minutes! Place the golden grahams in a large mixing bowl. In another large bowl, add 5 cups of marshmallows, 1½ cups of chocolate, light corn syrup and butter. Microwave in 30-second increments, stirring after each one until the mixture is totally melted and smooth. Stir in vanilla. Pour the delicious melted mixture over the grahams, put a little cooking spray on a spatula and gently stir until all of the grahams are coated. Stir in the extra cup of marshmallows. Turn the mixture out into the prepped baking pan. Use your spatula covered with cooking spray, and press the mixture evenly into the pan, pushing it down into a flat, even layer. Let set at room temperature for at least 1 hour or pop them into the fridge to firm up faster. Store in an airtight container at room temp for up to 2 days. I hope you love them as much as I do! 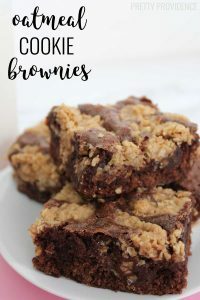 If you’re making these for a party I suggest doubling the batch, because they are a huge crowd pleaser and always the first thing gone from the dessert table. These were a hit in my family! We’ll for sure make them again! Yay i’m so glad! Thanks for coming back to tell us! Ohmygoodness these look SO GOOD!!! Golden Grahams are the best, I can’t wait to try this! yay! so glad you’re excited! they are amazing! oh yummy! I love anything smores!! These look fantastic! 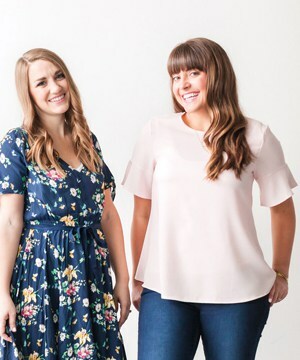 Would you pretty please link this up to our blog hop? I think our readers would love it! Goes live at 8pm cst. oh these look so yummy! I’m craving chocolate so badly today! They are SO good. High recommend! Ahhh…you’re right! These are SO GOOD! These are always my “go to” dessert whenever I need to make something in a pinch. We always have them whenever we do something overnight with friends (camping, etc.) I love how easy they are! Thanks for posting other no-bake desserts! Yum!